Oo La La Coco Dress! Tilly and the Buttons’ Coco Dress has been on my sewing list for a while, so I was delighted to get some time to give it a go today! I’d ordered the pattern a while back and it had unfortunately been out of stock, so when my pattern packet arrived I was all the more excited. Coco is a really versatile pattern, offering long sleeve t-shirt, dress, cuff and cowl neck options. I’d bought the pattern as I had plans for a cowl neck dress, so to be honest I see the other options as a bonus! I’ll definitely return to make a couple of the top versions as it is so easy and fun to sew! Fabric for a Coco was on my Stoffmarktholland shopping list. 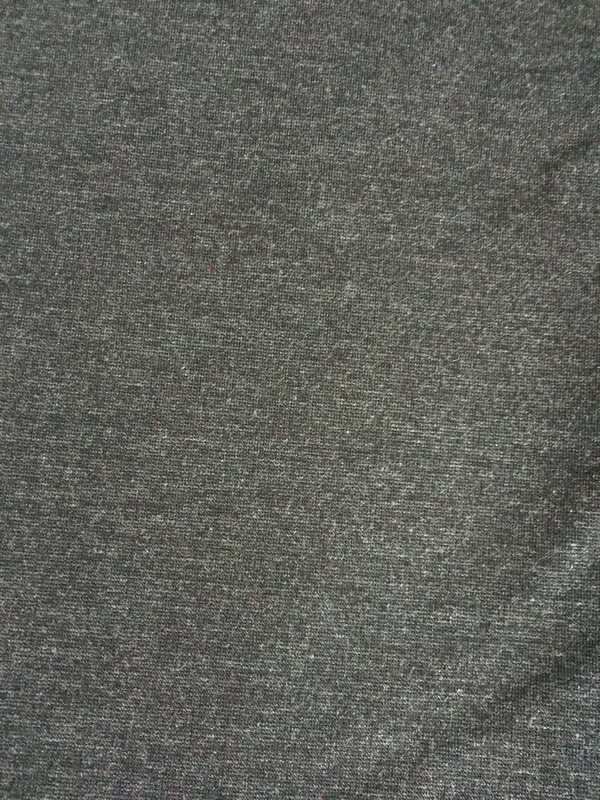 The pattern calls for knit fabric with not too much stretch, and I was delighted to find this charcoal grey knit at the fabric market. I had initially planned to make a black version for work, but there is something about sewing with black that I find kind of boring, so charcoal grey seemed a great option. This fabric had a really lovely weighty feel to it, so I knew it would hold the shape of the dress well. It was also attractively priced whilst still feeling good quality. I decided I wanted to add contrasting pockets to this dress to stop it being too ‘grey’. 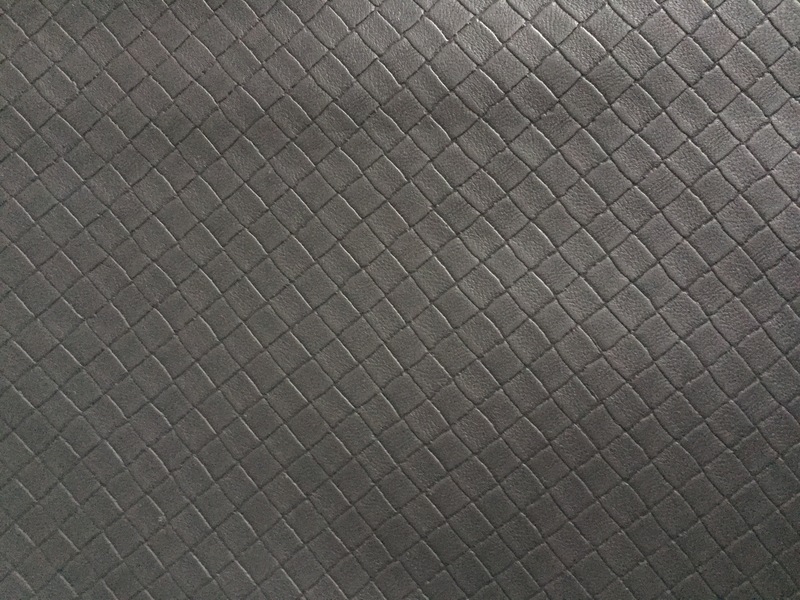 I found a remnant of this faux leather at the market which the stall holder gave me at a significantly reduced price as it was the end of the roll. I thought it would be great for the pockets as it adds a bit of glam! It was also a good opportunity for me to continue to develop my love for leather, all be it fake! There aren’t many pattern pieces to Coco which makes it a great pattern to trace and sew in one day. I cut a size 6 all over, which was good for accommodating my bust. 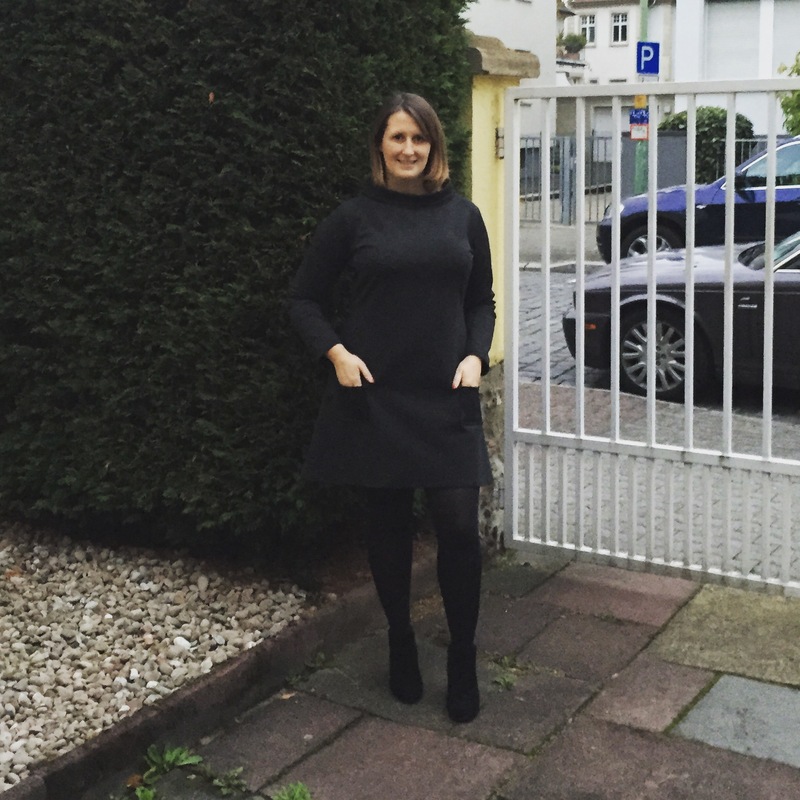 At the moment my fitting technique is to go off the bust measurement and take in everywhere else – particularly with this style of dress which is quite loose fitting and comfortable. I ended up taking in a centimeter on the sleeves and about 3cm on the waist. I decided to leave the flared skirt with the extra width on the hips as I thought it helps to balance out my figure. I also hemmed the sleeves to four centimeters. Tilly suggests two centimeters but seemed a bit long to me – who knows, maybe I have short arms?! In terms of construction this dress came together really easily. 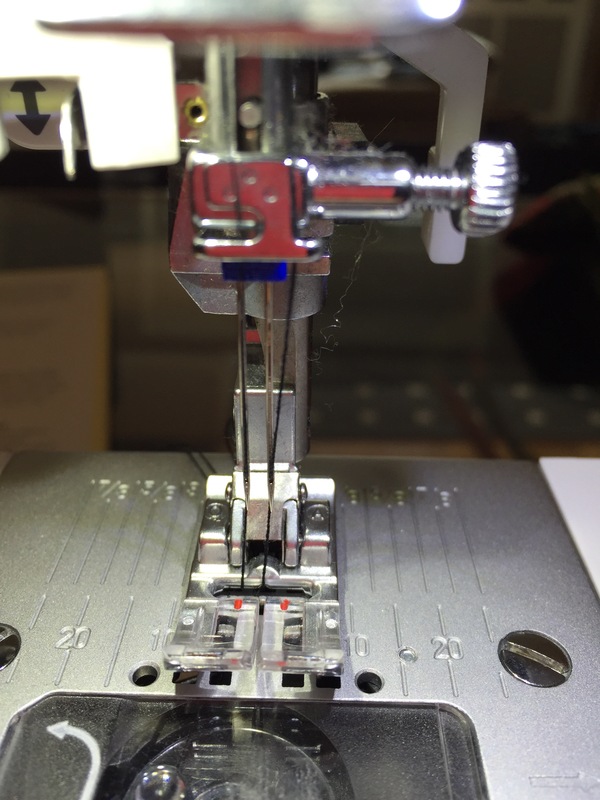 Seeing as I do a lot of sewing with knits, I felt like my sewing machine and I had really found our groove. 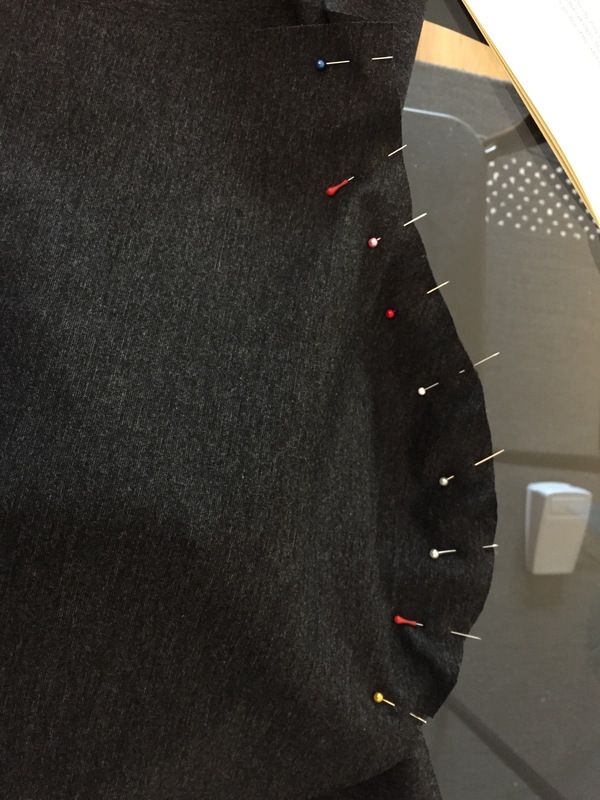 I also got to use the experience I gained at my sewing class with setting in sleeves which was great. I think otherwise I would have been genuinely perplexed as to how those two seams should come together! In the end, pins were my best friend and I got a great result. Not a single pucker – I was so proud! The other thing I was proud of with this make is that I finally took the time to learn how to thread the twin needle on my machine. What can I say apart from I wish I’d bothered to look this up in my manual earlier?! It really wasn’t hard at all and has made such a difference to the hem and cuffs. I love the finish – it just looks so professional! 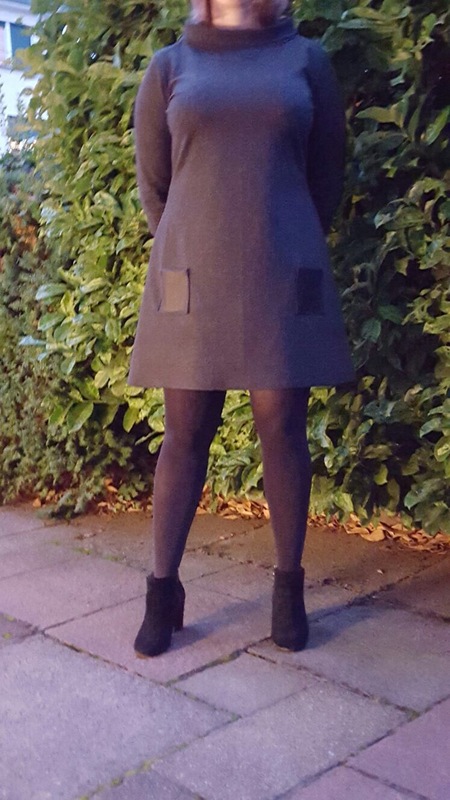 The patch pockets on this dress were a little fiddly as the faux leather didn’t press well. I was scared the whole time I was going to melt it so didn’t want to get the iron too hot! We got there in the end though! I was a bit nervous I was going to sew them on wonky as well as I was home alone and pinning them to myself while wearing the dress (where was the PB when I needed him?!) They seem to have turned out ok in the end though and I love the touch of glam that they bring to the dress! 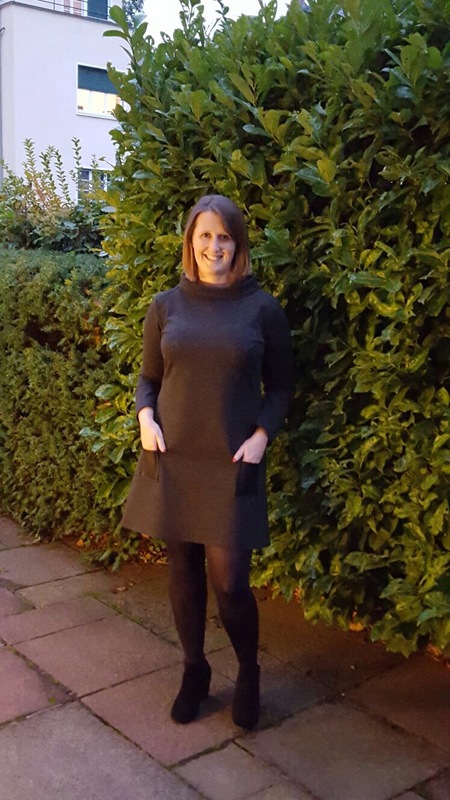 So here it is – my finished dress! I’m afraid the weather is not lending itself to light bright photos at the moment but such is life! 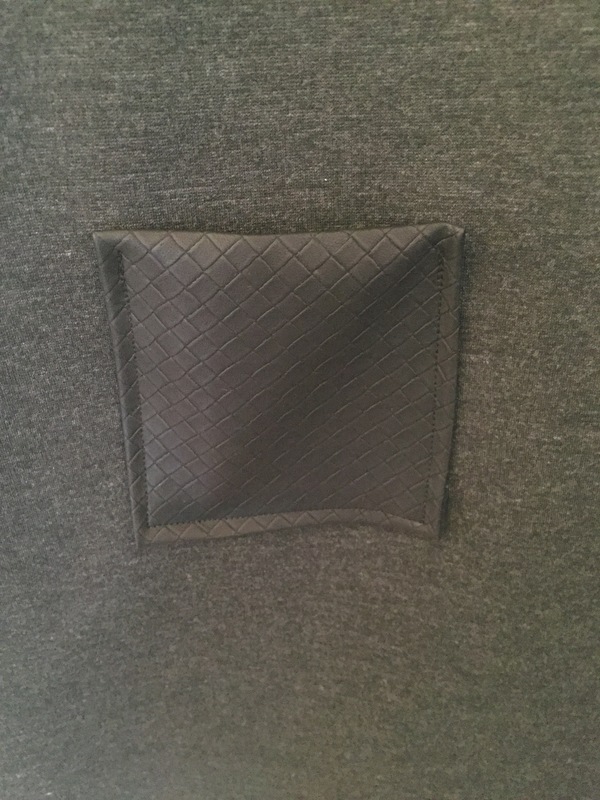 Here’s a close up of my pocket placement … Not too wonky after all which is a relief! Overall I love this dress and its little pockets! I can’t wait to wear it out and about – it’s both comfortable and stylish! Another great pattern from Tilly – you can’t help but love the way she has thought of all the small but important things for home sewers, such as making her pattern sheets small enough to fit on a normal dining table. Always a pleasure to sew with Tilly – I’ll definitely be coming back for more of these. Maybe I’ll get round to making that black one after all?! Thankless!! It’s my new favourite!! So comfortabl and cosy for the winter too!! 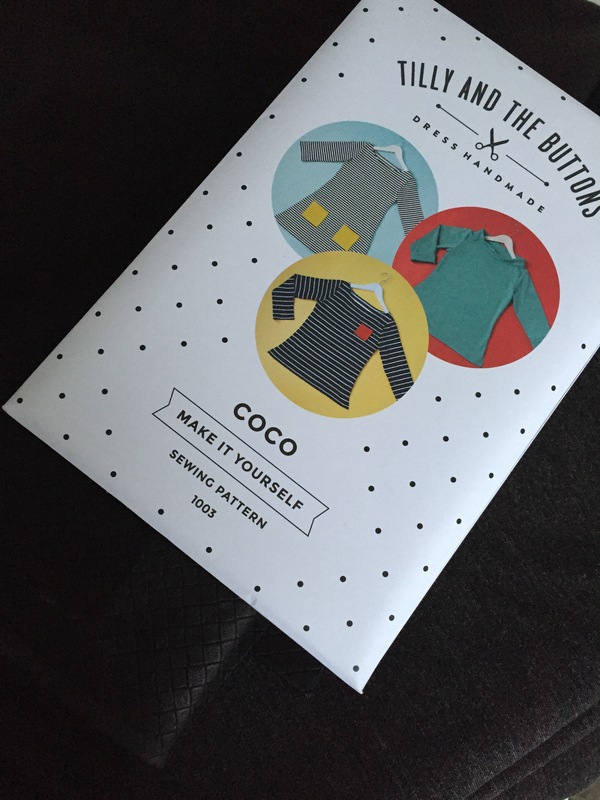 The Coco pattern is a winner – I’ve made several tops but have yet to find exactly the right fabric for a dress. It is on my list! Yours looks great and I’m sure you’ll get a lot of use out of it. So comfortable! Thanks JaneyB!! I’m actually wearing it right now to head off in a business trip to Milan! I’m already planning a whole hoard of them haha! I think I might make an owl neck top – I wasn’t sure it would suit me but I love this neck so much I want more! !